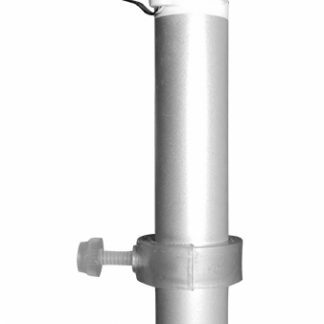 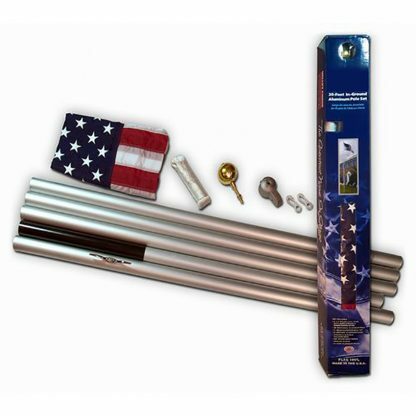 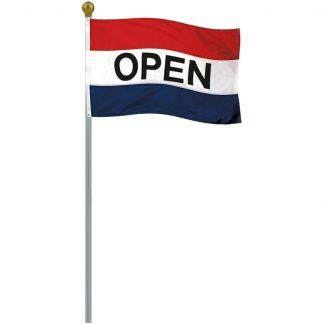 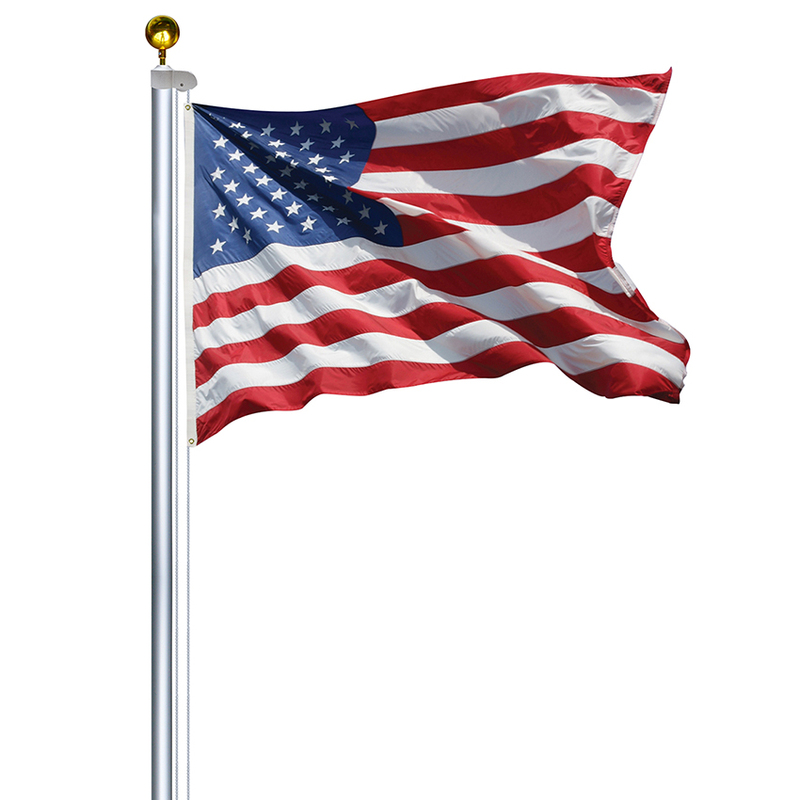 Add a sectional flagpole to your hardware essentials with this 25′ aluminum sectional pole with flag. It includes a 3′ x 5′ nylon US flag with embroidered stars and sewn stripes. 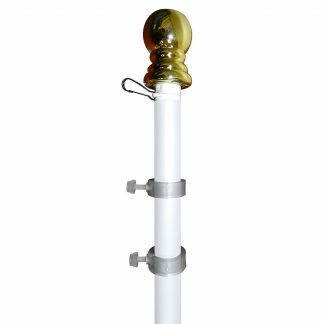 It’s made using 16 gauge aluminum, has a 2″ diameter and features a satin anodized finish. 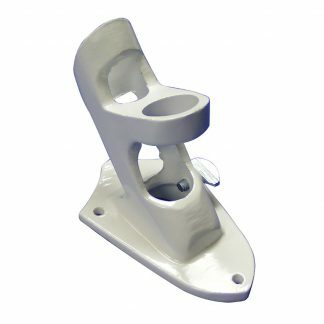 It includes 6 die cast aluminum cleats, a durable halyard rope, 3/8″ nylon snap hooks, a 2″ cast aluminum truck with a nylon pulley and a PVC ground sleeve. 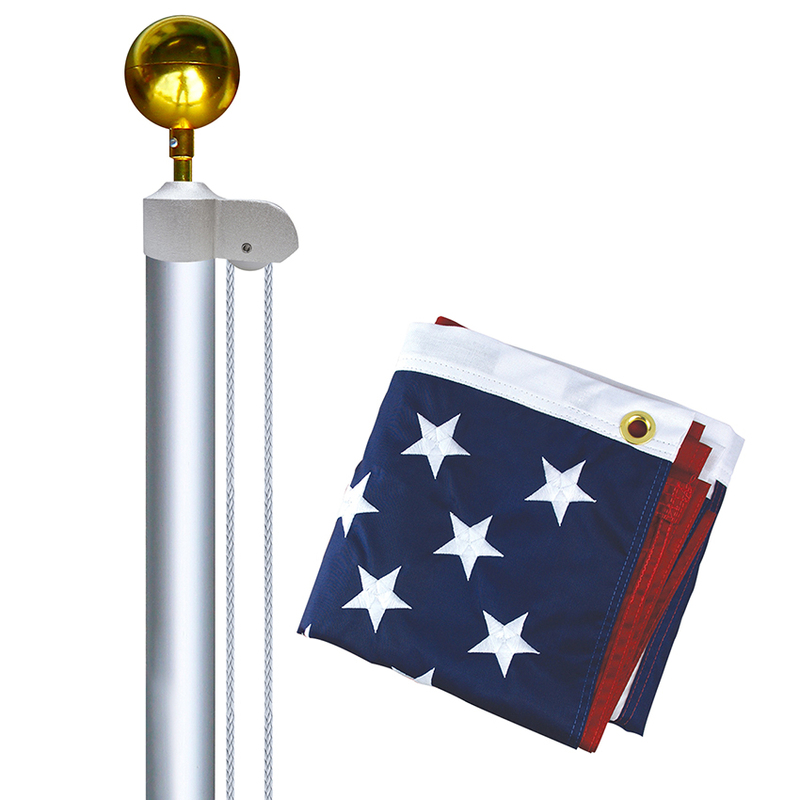 It’s topped with a 3″ gold anodized aluminum ball.